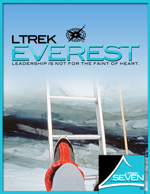 LTrek’s signature virtuous leadership development program, the Seven Leadership Summits™, is a leadership development series through which executive teams can achieve great heights together, virtually of course. These “summits” challenge leaders to explore the application of the seven classic virtues to leadership. Dating back thousands of years to the time of Aristotle the virtues of courage, hope, faith, love, prudence, temperance and justice have endured as marks of noble character. We believe that great leaders and great organizations are defined by their character. 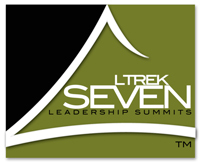 In our programs, each of the Seven Leadership Summits™ focuses primarily on one leadership virtue and is associated with one of seven mountains that represent the highest mountains on each of the seven continents in the world. In the world of mountain climbing, the “seven summits of the world” are Mt. Everest (Asia), Mt. Kilimanjaro (Africa), Mt. McKinley (North America), Mt. 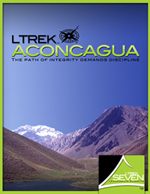 Aconcagua (South America), Mt. 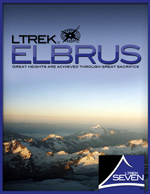 Elbrus (Europe), Mt. 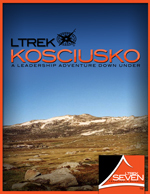 Kosciuszko (Australia), and Mt. Vinson Massif (Antarctica). When a mountaineer has summited all seven of these mountains, they go down in record books as having conquered the Seven Summits. 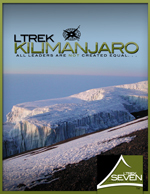 In an increasingly competitive world where, now more than ever, leaders are facing exceedingly difficult and complex challenges and may be tempted to take short cuts or push to the edge of ethical practice, LTrek provides a positive and proactive approach that equips leaders to surmount these concerns and promote a culture of character. 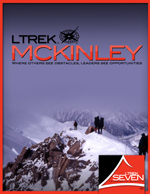 The journey through the Seven Leadership Summits™ is neither easy nor obvious. These mountains may not be well traveled, but conquering them is a worthwhile adventure. 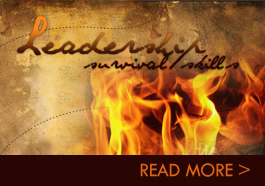 Leadership is not for the faint of heart. Leaders must make the right decisions – not just make gutsy choices. Together, executive teams tackle the virtue of “courage.” Participants explore leading from their personal mission, identifying shared “good” purposes, gaining shared commitment to the organizational mission and goals, and fostering an ethical environment within the organization. All Leaders are NOT Created Equal. How do leaders and organizations act fair in all their actions and work toward win/win solutions? These are the questions executive teams consider when they tackle the virtue of “justice.” Participants explore the pervasiveness of “justice” perceptions which are so critical in shaping the attitudes and actions of people. The path of integrity demands discipline. Together executives tackle the virtue of “temperance,” by considering this virtue as it relates to both individual leadership and corporate decision-making. Participants explore the importance of self-leadership and ensuring balance, not only in their own lives but in leading complex organizations with multiple stakeholders. Great heights are achieved through great sacrifice. In this summit, executive teams confront love as a virtue of leadership. Moving beyond notions of emotion, participants are challenged to value the uniqueness of others and act with an identifiable concern for others interests. A leadership adventure down under. Together your team can tackle a mountain. This mountain is the virtue of “prudence.” Participants explore how to act wisely in the present and exercise foresight in preparing for the future. Together, executive teams take on the virtue of hope. Taking a path that emphasizes humility, and avoids the deadly obstacle of hopelessness, participants explore the content of the organization’s vision and the forces that hinder and help progress toward achieving the vision.